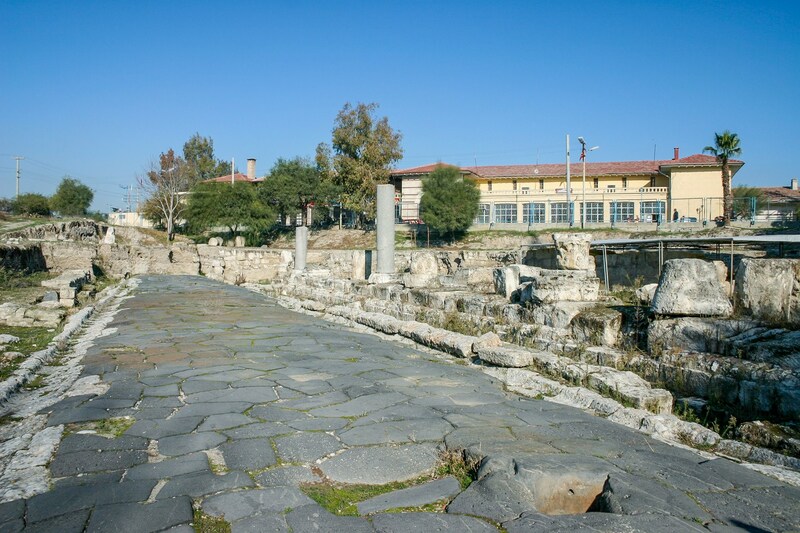 Tarsus was the birthplace of Paul the apostle(Acts 22:3). It is located at the northeastern corner of the Mediterranean Sea, about 9.5 mi. [15 km.] inland along the Cydnus River. In Paul’s day the city was one of the top five intellectual centers of the Roman world — a center for the Stoics. In Paul’s day possibly 100,000 people lived there. View looking northwest at the current excavations at ancient Tarsus—at the Cumhuriyet Alani. The 23 ft. [7 m.] wide road dates to the second century B.C. while the colonnade (visible on the right, northeast, side of the road) probably dates to the third or fourth centuries A.D. Click on Image to Enlarge and/or Download. Not much of ancient Tarsus is visible on the surface. However, in the wake of urban development in downtown Tarsus, an ancient street and associated structures were found. The street itself was in existence in Paul’s day. 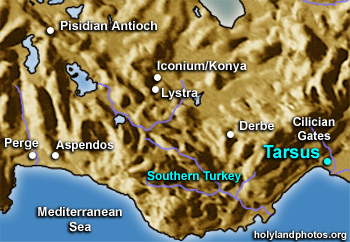 Tarsus was an important center for east-west transit traffic. Paul was actually a citizen of this distinguished city (Acts 9:11; 21:39—he was also a Roman Citizen). Since he was sent to Jerusalem at an early age, to be trained there under the famous Rabbi Gamaliel, it probably wasn’t until after his conversion that Paul interacted with the Greco-Roman culture of Tarsus — spending some 12–13 years there before embarking on his first missionary journey. 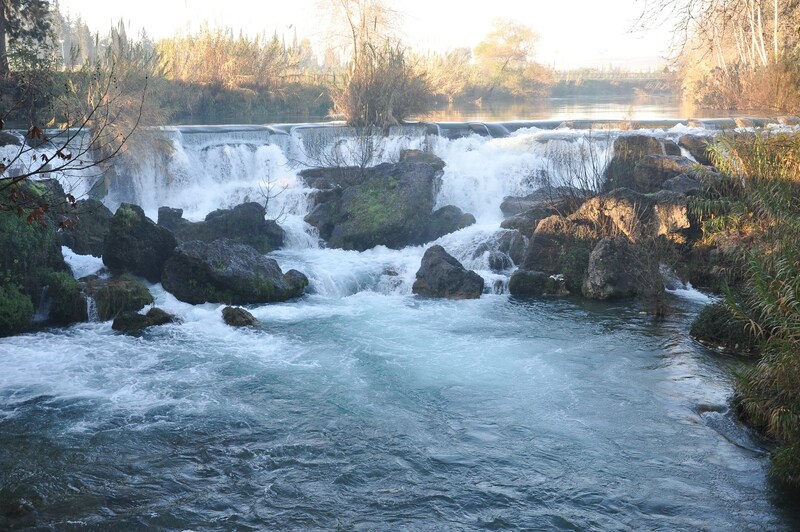 View of the waterfall (Turkish: “Selale”) on the river that runs through Tarsus. Click on Image to Enlarge and/or Download. Paul probably passed though Tarsus as he began his second and third missionary journeys. This entry was posted in Places in Turkey and tagged Apostle Paul, Tarsus. Bookmark the permalink.